NKBA Prairie Provinces is the local chapter that brings together local Prairie Provinces Kitchen & Bath distributors, retailers, remodelers, manufacturers, fabricators, installers, designers, and other professionals – and provides a resource for local consumers to research, educate and connect with Prairie Provinces Kitchen and Bath professionals. Click here to visit the NKBA Prairie Provinces Facebook page. Click here to visit the NKBA Prairie Provinces Twitter page. A CEU presentation on Luxury Shower Systems- Made Easy. A dual presentation on shower valves & linear drains. Join us at The Royal Flush Kitchen & Bath Boutique in Calgary to hear speaker Jim Leung. Jim is with LMI Architectural Resources, the original rep agency for Dornbracht and Infinity Drain. Jim has worked with LMI for 13 years, with a main focus on A/D community and Spec. Privoius to LMI he was with Core, their business covers multi family, high end residential, and commercial Projects include APPLE, Nike, Fairmonts and many more. Passionate about his niche market Jim also is a trainer for contractors / project management. PLEASE BE NOTE THAT BY ATTENDING THIS EVENT, YOU CONSENT TO YOUR PICTURE AND/OR NAME/COMPANY NAME BEING USED, WITHOUT COMPENSATION, IN SOCIAL MEDIA AND PUBLICATION WHETHER NOW KNOWN OR HEREAFTER DEVISED, FOR ETERNITY, AND YOU RELEASE THE NKBA, EVENT HOST AND ITS SUCCESSORS, ASSIGNS AND LICENSEES FROM ANY LIABILITY WHATSOEVER OF ANY NATURE. Kelly Inglis of Lighting education Design. Known for her engaging demeanour and focused ability to improve the lighting atmosphere of any space, Kelly shines bright in the lighting industry. Kelly’s passion is to create impactful lighting environments that are essential for an eco-friendly and increasingly healthy, lighting lifestyle. Kelly is also in the spot light at this years KBIS speaking and sharing her passion and knowledge with the world. Denis Emond of DME Premium fixture solutions. For 24 years Denis has been leading, educating and serving the Praire province chapters, providing the highest standard of excellence within the kitchen and bath industry in fixtures. In order to accomplish this Denis prides himslef on representing industry-leading companies. Dawn of MKL Design Studio. Dawn has immersed herself in the industry and lifestyle of the Alberta design community. Based out of Calgary, Dawn brings her 21 years of expertise, experience, and passion to every project. With her MKL Design studio, she has established a reputation for creating and successfully completing a foray of projects in the luxury custom home building industry that has gained her recognition and national reach. Get your tickets now and join us March 6th 2019 for appetizers, good company and the inside scope on whats to come from the best in the industry. Our Mission is to be a resource in the design community, to empower professionals to participate by providing a supportive inclusive network for all. To lead, not in word or speech but in truth and action. Looking forward to connecting in 2019! If you are interested in getting involved with the NKBA, or have been involved and looking to check in and see what we have planned for the community. Please join us for a day full of conversation, and planning. The executive team will be gathering in Red Deer Alberta for our annual strategic planning session to plan the years events and collectively come up with ideas to better serve our industry. Please RSVP through the facebook link if you are interested and can commit for the full day. Please join the executive team as they meet to discuss programs, communication, membership, and finances. We will discuss in depth how we can engage and support local community, create events, and connect both our members and kitchen and bath industry professionals. 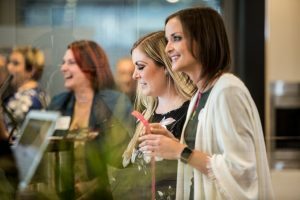 The NKBA Prairie Province Chapter together with our sponsor Caesarstone Canada are proud to host Two exciting evenings to celebrate our members and community. Purchase your ticket now, space is limited. This is also the last chance to be entered to WIN A TRIP TO KBIS in VEGAS 2019, check out our social pages for more information. TICKETS ARE LIMITED AND NON-REFUNDABLE. DOOR SALES MAY BE LIMITED BASED ON CAPACITY AND NOT GUARANTEED. PLEASE NOTE THAT BY ATTENDING THIS EVENT, YOU CONSENT TO YOUR PICTURE AND/OR NAME/COMPANY NAME BEING USED, WITHOUT COMPENSATION, IN SOCIAL MEDIA AND PUBLICATION WEATHER NOW KNOWN OR HEREAFTER DEVISED, FOR ETERNITY, AND YOU RELEASE THE NKBS, EVENT HOST AND ITS SUCCESSORS, ASSIGNS AND LICENSEES FROM ANY LIABILITY WHATSOEVER OF ANY NATURE. BACKLIGHTING STONE; PRODUCTS, METHODS & DESIGN CONSIDERATIONS. 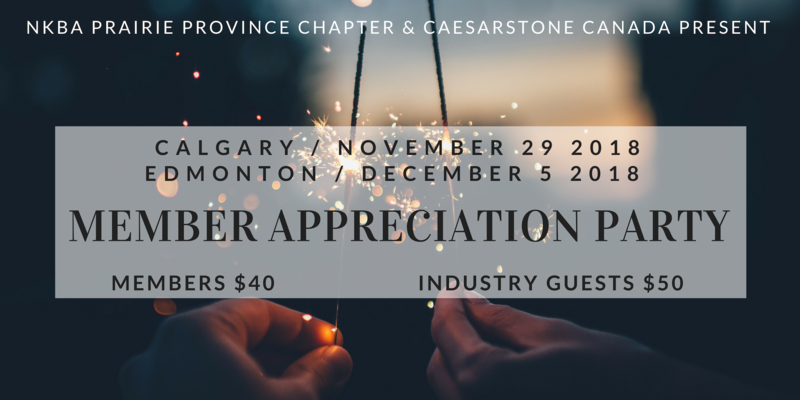 The NKBA Prairie Province Chapter together with World Stone and sponsor Caesarstone Canada are proud to present a presentation on backlighting. Purchase your ticket now and join us to connect with industry, community and get your CEU. We will have giveaways and attendees will be entered for a chance to win a trip to KBIS in Vegas 2019! Regardless if you are a fan of the wild west, or need a break from the shop, this event is guaranteed to connect you with the industry and “knock your boots off” on the dance floor. The NKBA Prairie Provinces Chapter together with Empire Kitchen & Bath and sponsor Caesarstone Canada are proud to present a night in full color with guest speaker Feras Irikat from Lunada Bay Tile. Join us in the gorgeous award winning showroom Empire Kitchen & Bath to connect, be inspired and explore the world of color. Feras Irikat is the director of design and marketing for Lunada Bay Tile, a leader in the design and production of handcrafted glass, stone, metal, wood and ceramic tiles. An expert tile designer in all mediums, Irikat holds a bachelor’s degree in interior design and a master’s degree in family and consumer sciences from San Francisco State University where he also did advanced graduate work and research in color theory and color psychology. He has taught color theory, applications and psychology at SFSU, UC Santa Cruz extension, West Valley College, and at design seminars around the world. His expertise in color theory and color psychology enables him to design and mix color palettes effectively and help to define and guide color trends in tile and home design. Lauren Levant is an emerging leader in luxury kitchen design. With a distinctive portfolio of work, the firm and its team have claimed more than twenty international, national and regional awards in the past five years. Lauren Levant is particularly known for its creative collaborations with local craftspersons, fabricators and artisans. 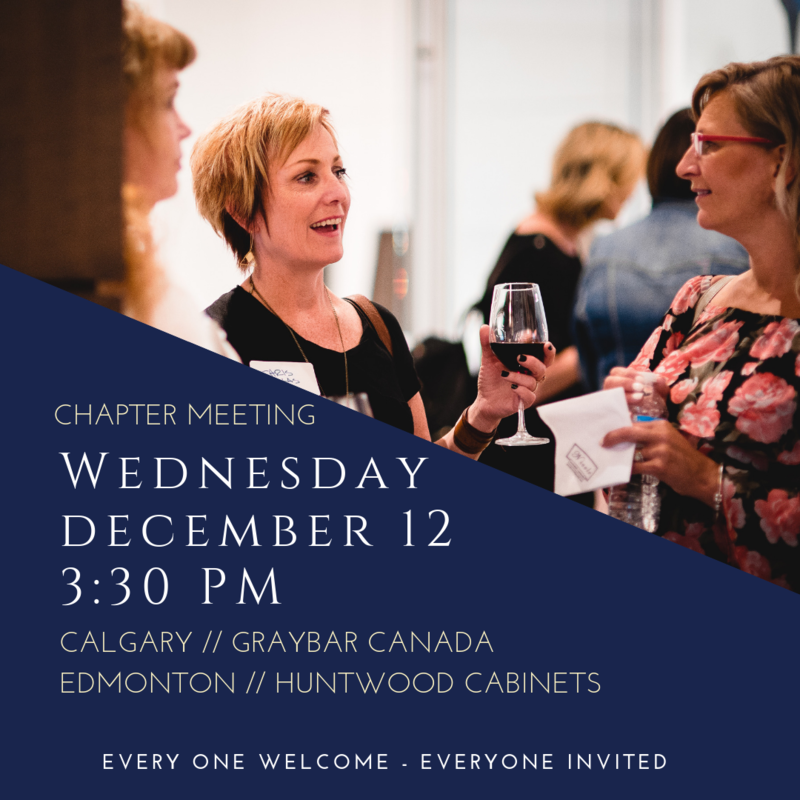 Join the NKBA Prairie Province Chapter at MKT in the heart of Edmonton. Purchase your ticket now and join us to connect with industry, community and get your CEU. Get in touch or check out Facebook and Instagram for more details! We will cover the 9 manuals and have two credited AKBD and CKBD Designers join throughout to answer questions and support in preparation for the exam. The NKBA certification exams, which include the Associate Kitchen & Bath Designer (AKBD) and the Certi ed Kitchen & Bath Designer (CKBD) test on the NKBA’s 31 kitchen planning guidelines and 27 bathroom planning guidelines, as well as the NKBA Professional Resource Library (PRL). • Kitchen & Bath Business and Project Management. The NKBA creates the design certification exams (AKBD and CKBD) utilizing expert NKBA-certified kitchen and bathroom designers under the direction of a nationally recognized testing authority with expertise in certi cation and licensure examinations. The academic exams required for the AKBD and CKBD certifications are computer-based exams consisting of multiple- choice questions that test both kitchen and bathroom competencies. The exam is administered at more than 300 testing centers throughout the United States and Canada. Please note this is a registered session cost to participate is $100/person and includes a NKBA Handbook. Exam fees and registration are not included. Exact exam date and time will be subject to approved BVC and NKBA National guidelines and schedule. For further information please contact communication chair Becky de Graaf at msdegraaf@icloud.com. This event qualifies for NKBA CEUs. Join us on April 20th at Trolly 5 in Calgary! This is a must attend event! A take on speed dating but networking instead! Bring your business cards and enjoy a night of mixing and mingling with industry professionals. This is a fun way to build your network! 20 Designers and 20 professionals. Seating is limited!! This is a chance to spend some time with every person attending the event. Enjoy pizza and one drink with the purchase of your ticket. 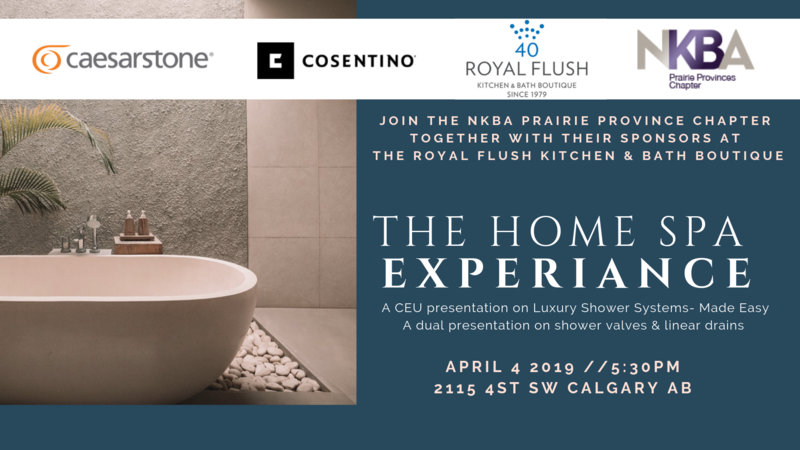 Join the NKBA Prairie Provinces and Cosentino for a night of learning and Networking! Let’s learn about the almost indestructible qualities of Ultra Compact Surfaces from the industry professional Deanne Leibel with Cosentino.